Ah Google. The holy grail for the online search and, unless fact, added to the english dictionary on 15th June, 2006. Open a Google Plus account and get posting. Google is KING and rewards those with a Google Plus account, simple as that. Open a YouTube account, start taking video and post it. Doesn’t matter how crap-tastic it is, get cracking! Google spiders love that stuff! For more on why you should be including video in your marketing campaigns, read more here. The words you use throughout your website or blog matter. If you’re selling vintage clothing, there’s not much point talking about how you fixed your motorbike on the weekend. Keep your website relative to what you’re doing! Sounds like common sense yes?! The titles you use for your blog posts and pages matter. It summarises the content and is like a book title. Search Engines look for good titles! The links you post on your site matter. 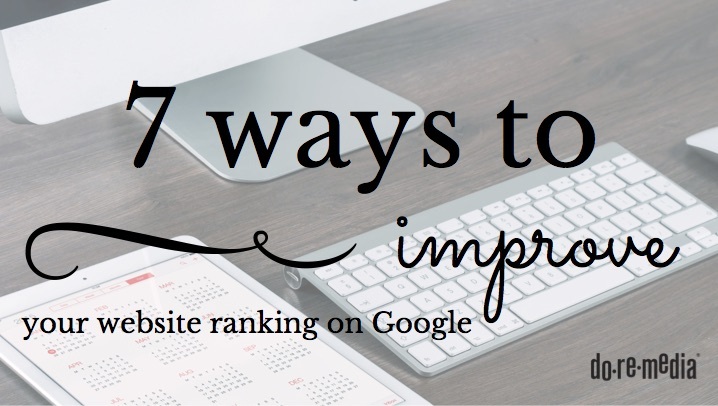 It’s even better if people are linking their websites to YOUR website. How do you get people to link to your website? See point number 4. The words you use when linking to other websites matter. For instance, if you linked to this DoReMedia blog post and used the words What is SEO?, search engine understand that where the link points to is about SEO. Content! Content! Content! Search engines reward regular (at least once a week), fresh, engaging, quality content with quality links. Not only that, but if your website.blog is entertaining and informative, people will begin to share the link to your website on their websites and social media which is exactly what you want!